In an early issue of his Superman run, John Byrne featured word balloons from over a dozen other titles released that same month — including Firestorm! This information was featured recently over on CBR’s “Comic Book Legends Revealed.” The issue was Superman #10 (Oct. 1987) by John Byrne and Karl Kesel. In the story, Superman’s powers are increasing uncontrollably. 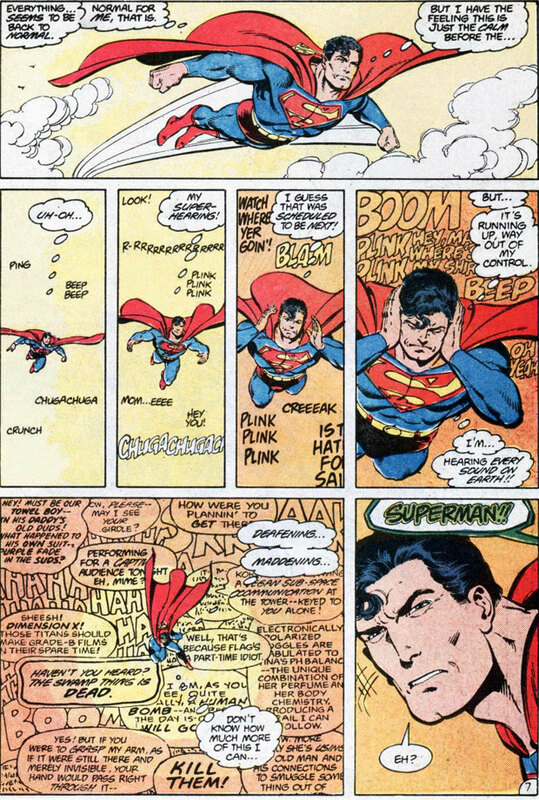 On the page below, Superman’s super-hearing is enhanced to the point where he can hear every sound on the planet (or at least the entire line of DC Comics from that month). Man, I miss John Byrne on Superman! Great stuff! On the page above, check out the word balloon above Superman’s cape that starts with, “How were you…”. 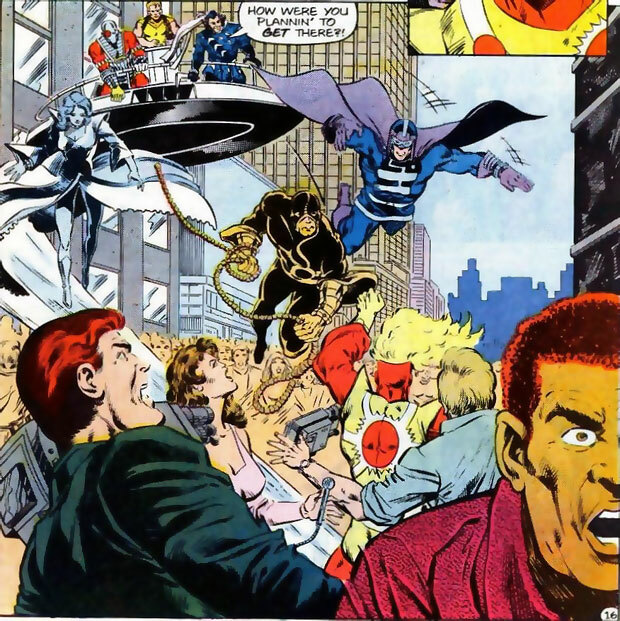 Then take a gander at this panel below from The Fury of Firestorm #64 (Oct. 1987) by John Ostrander, Joe Brozowski, and Sam de la Rosa. That’s so cool! My thanks for the heads-up on this to Walter from the outstanding Boosterrific site dedicated to Booster Gold! Posted in: Firestorm #01: Original (Ronnie/Martin), Firestorm comic vol. II, Joe Brozowski, John Ostrander. So true! Every time Slipknot shows up, take a shot! It’s not only quoted, it’s the exact same lettering. Slipknot! This makes up for that “Sweetcheeks” debacle a few days ago. Ahh the good ol’days, when Superman actually looked like… Superman!